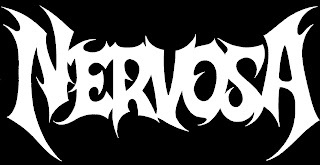 Nervosa's Fernanda Talks of the Metal Flame Burning and How Promoting their New Album Will Go! 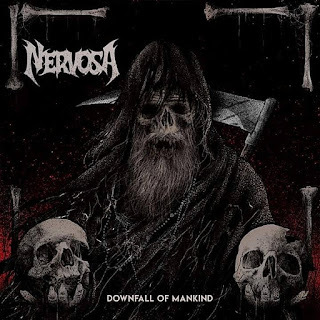 Trio thrash metal act Nervosa has been around for a while, releasing what will be their third full-length album to date, entitled "Downfall Of Mankind", with plenty of plans of promoting it, along with touring too! Frontwomen vocalist/bassist Fernanda Lira talks to us, after our last and first time talking about 4 years ago! Hear what has been said between then and now! 1. 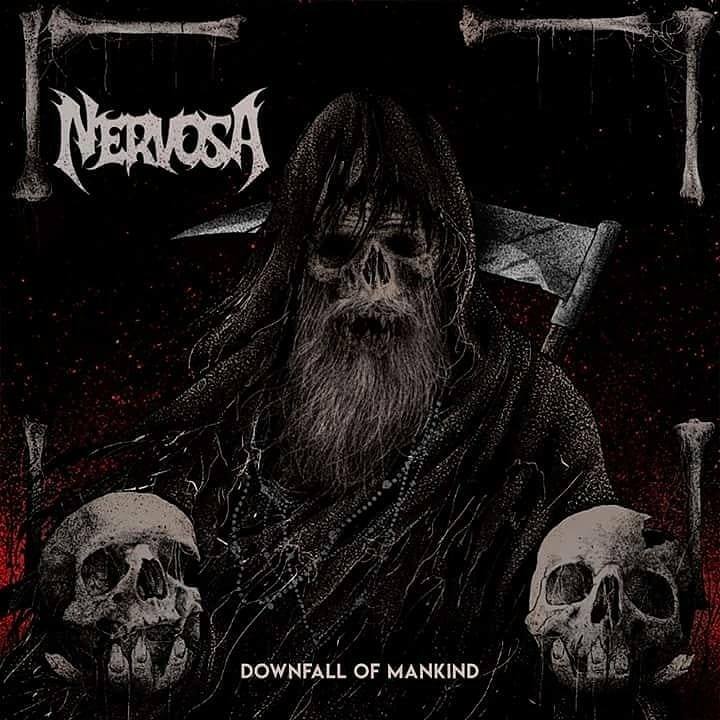 It's been 4 years, since as last spoke, so what has Nervosa been up too? F: Many many things happened! Our album "Agony" was released, now our brand new album is out, with a lot of other in-between being A LOT of touring! Haha! 2. During that time, we discussed your debut EP "Time Of Death" as well as your debut full-length album "Victim Of Yourself", what else has seen the light of day from you guys since those releases? F: "Agony", was released and we did a lot of promotion for that: 1 tour in the U.S. and Canada, around 5 in Europe, 2 of them with Destruction and 1 with Venom Inc. and Suffocation, and also many many tours in Latin America, it’s been just great. Then in January/February this year we recorded our new album, from which we already have two singles out: a lyric video for the track "Never Forget, Never Repeat" and a video clip for "Kill the Silence". Feedback has been amazing so far. 3. 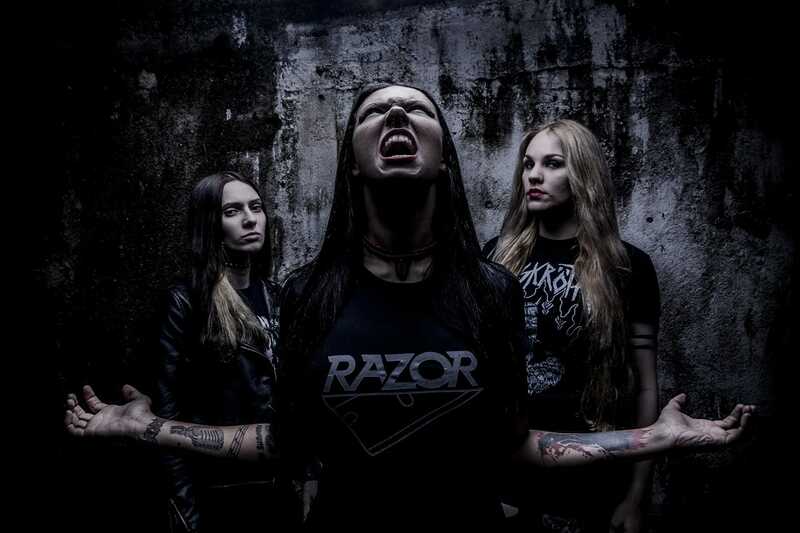 Aside from those releases, your upcoming third full-length "Downfall Of Mankind", is set for the summer, how does this one differ, compare, and come to equality to your previous material? F: Its definitely more aggressive, faster, more technical and darker than the previous ones, and one of the reasons is that we have a new drummer now, who played in a death metal band before Nervosa, so she brought a lot of that to our music, and now we feel we found exactly how we wanna sound, exactly what our musical identity is. In terms or production, it’s rawer and more aggressive than the last one. The producer is our sound guy on our live shows in Europe, so he aimed to ring all our energy live to the studio album - and he nailed it! 4. Off that album, came two singles one for "Never Forget, Never Repeat", as well as "Kill The Silence", disclose the details of these tracks and or video releases for us? F: We chose "Never Forget, Never Repeat" because as a first single, we wanted to have a track that had that "punch on the face" vibe and that also would have a little bit of all elements in the album, we wanted to prepare the fans to what they would hear in the album, and we thought this song had a bit of it all! As for "Kill the Silence", we just felt is a good catchy single, and also lyrics are very nice and opened us to ideas for the video clip. 5. Did the line-up for the band change, since we last spoke back in 2014 by chance? F: Yup, twice haha "For Agony" we had the drummer Pitchu Ferraz recording, then she left in the middle of our European and North America tours, then our dear friend Samantha Landa did 2 tours with us, and when we were finally home, we started auditioning girls, and the amazing Luana Dametto would then be joining the band. 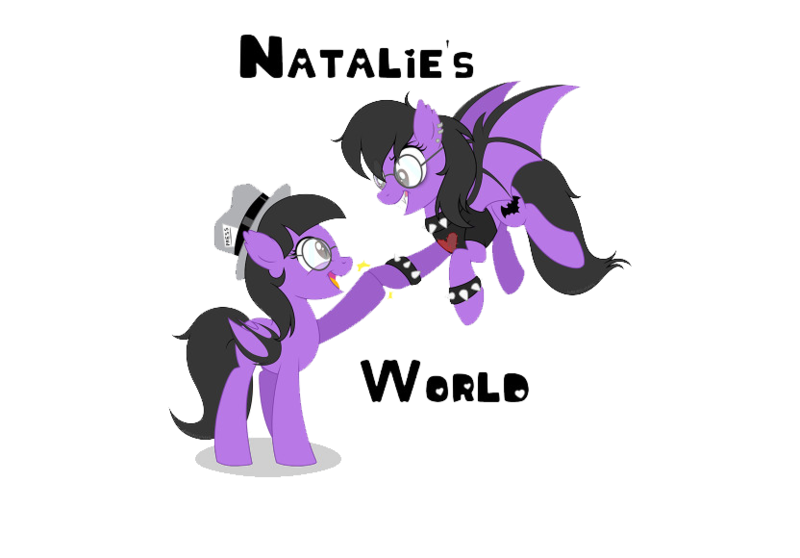 She's an awesome, talented, easy-going musician who I love to have in the band. She brought a lot to the band when we were writing our new album. And I hope she doesn’t leave the band, or I’ll kill her hahaha! 6. What's coming up for shows and or tours, if anything planned at all? F: This year we took it a little easy, the last years have been pretty busy for us, playing something like 150 gigs a year, so we decided to take some time to rest. So now in June we have a couple of gigs in Brazil to promote the new album, then in July and August we’re off to Europe, then when we're back we'll be focusing on Brazil and Latin America! 7. How about any other sort of plans, that you can share at the present time? F: Our basic plan is always touring a lot and taking our music to the biggest number of metalhead possible haha. But for the next year we definitely wanna go back to the U.S. for tours and also maybe go to Asia, where we've never played before and have been trying so much to! 8. Would you like to add or say anything else or more to what has already been said here? F: Just thanks for the opportunity of talking about our music, and for everyone who’s checking this interview out, keep on supporting metal, we’re the sole responsible ones for keeping the metal flame burning! Thanks!